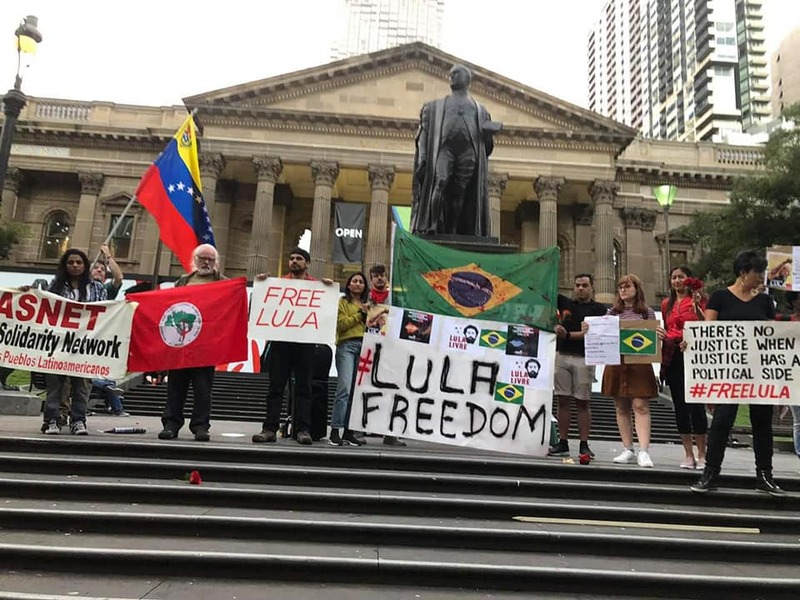 On Sunday, some Brazilians and local members of the Lula Livre International Committee in Melbourne, gathered outside the State Library on Swanston Street. They came to communicate to the publica simple message. Former President Lula has been put in prison under fabricated charges and must be released. The judge that found him guilty and sentenced him for 12 years on 7 April 2018, Sergio Moro, was subsequently made Minister for Justice and Public Security under the Jair Bolsonaro administration. Lula was not found guilty on the basis of evidence, but on what the judge called “indeterminate facts.” In other words, in his view the prosecution did not have to prove its case. Many inside and outside Brazil have said, this travesty of justice occurred to prevent the most popular candidate in the country from standing for election. It is how Bolsonaro was able to put together a coalition to win. No other candidate allowed was widely enough known. This was also a big part of an orchestrated campaign to whip up the image that Bolsonaro’s opponents are corrupt. Lula was leader of the battle against the former military dictatorship which came in 1964 and he played a key role in its final fall on 15 March 1985. The anti-dictatorship and other social movements coalesced into the Workers Party, which Lula headed. His full name being Luiz Inacio Lula da Silva, he won the presidential election in 2002. His administration launched programs that began a process of land reform to provide land for the peasants, to put an end to hunger, instated a family allowance to ensure kids went to school, and invested a considerable amount on updating the nation’s infrastructure. Poverty in Brazil was seriously reduced. The destruction of the Amazon was stopped, and the Indigenous peoples given considerable rights, as were unions and the LGBT community. The main charge behind Lula ‘s arrest under a warrant issued by the same judge, involved the charge of benefiting from reforms that led to a rise in the value of a second property. Although Lula’s defence was able to establish that he did not own the property in question, he was pronounced guilty. The result is the way was left open for Bolsonaro, a former soldier with connections to the old coup generals, supported by the big landowners who wanted to put a stop to and reverse the land reform, and the monopoly media. He had and continues to have the backing of Washington, which regards him as an important counter attack against change in the balance of forces in Brazil and across Latin America. Bolsonaso’s intention is to roll back the gains of recent times. 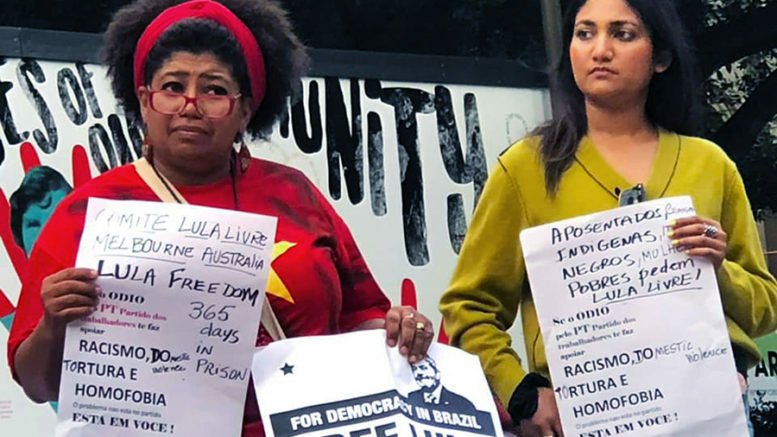 A year after Lula’s imprisonment, a Brazilian and increasingly global movement for his freedom is building, and an international week of action tok place this year (4-10 April). 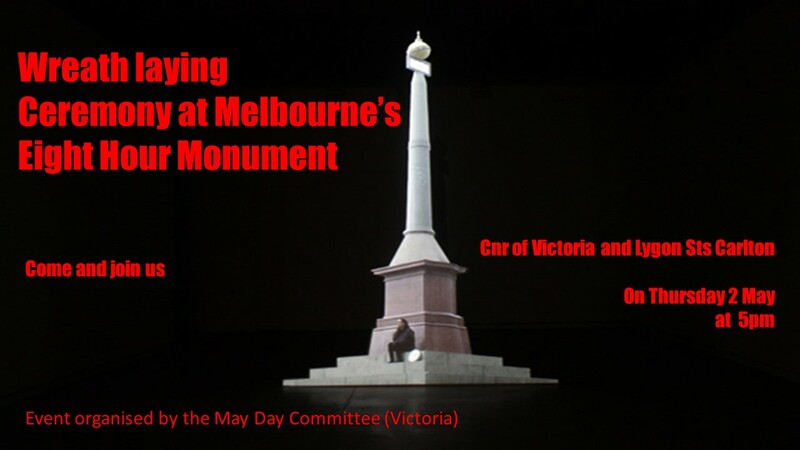 The presence outside Melbourne’s State Library was part of this. 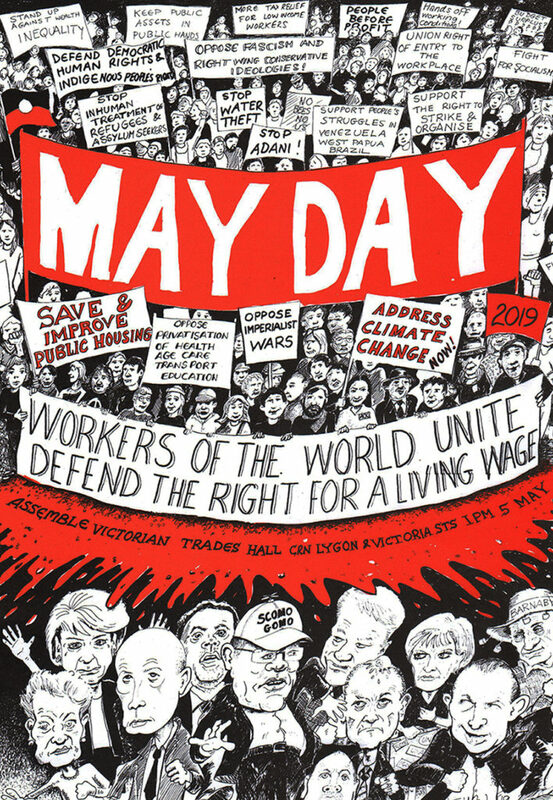 Speakers pointed out how securing the freedom of Lula is important to the battle for democratic rights in Brazil, and that it has global implications, in a climate where the shift of political elites to use more forceful means to realise their interests, is becoming more pronounced. 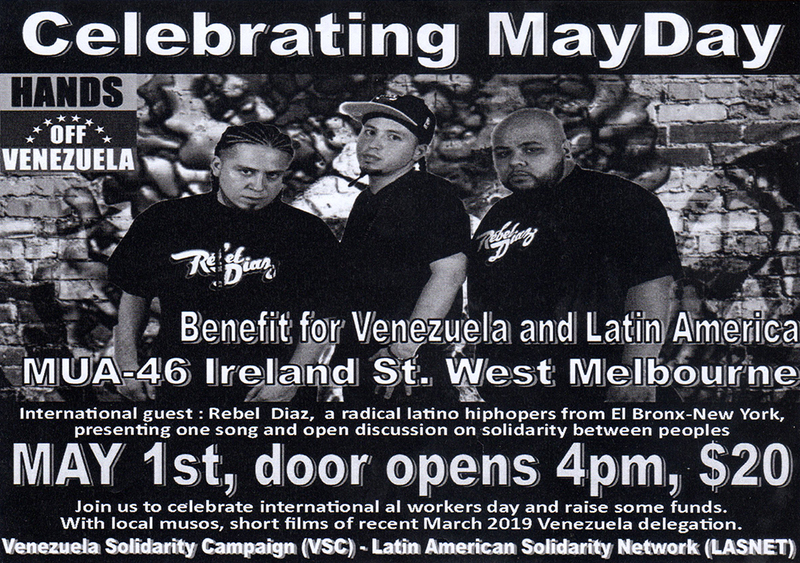 The two Victorian members of the recent delegation to Venezuela (Joe Montero and Lucho Requelme), spoke about what is going on there. Parallels were drawn between what is happening there and what is happening in Brazil, and offered their support to the campaign to free Lula. 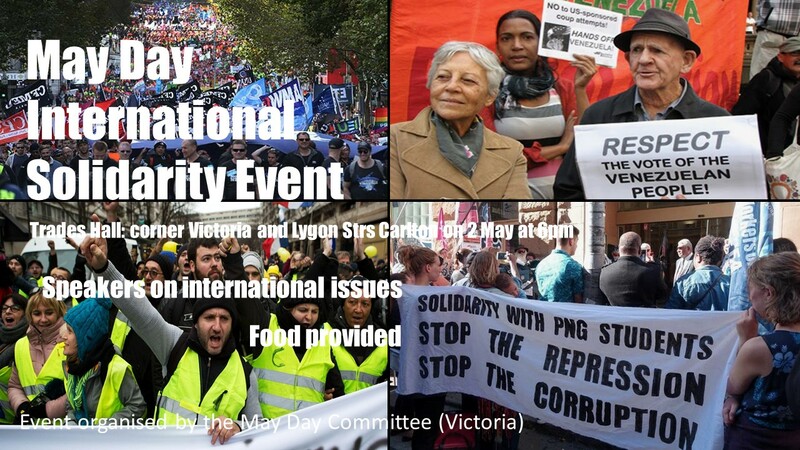 Be the first to comment on "Action to join the international campaign to free Lula takes place in Melbourne"